We finally got a breather this weekend and are not traveling to any fencing tournaments, so it’s time to catch up on some freezer breakfasts for my kiddo! These can be popped straight from the freezer to microwave, or you can pull one out the night before and let it thaw a little before microwaving. Either way it makes for an easier morning if your teenager is slow to get moving before school, and this is far more filling than a bowl of cereal. 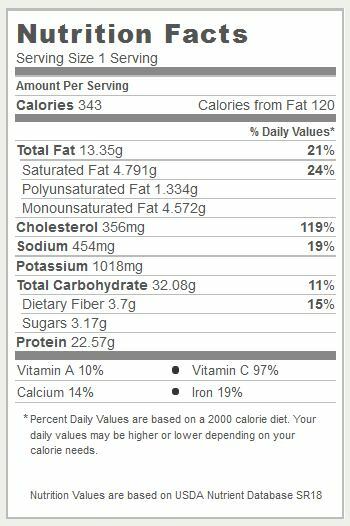 So, for 12 servings, that works out to $1.17 per serving. To save some $$ on this dish, you could omit the sausage, and use 6 more eggs instead. Dice potatoes into 1 inch cubes. No need to peel! Spread evenly on two baking sheets. Drizzle with olive oil, add salt and pepper to taste. Roast for about 25 minutes. Turn potatoes halfway through using a spatuala, and if your oven cooks unevenly like mine, swap pans on the racks. 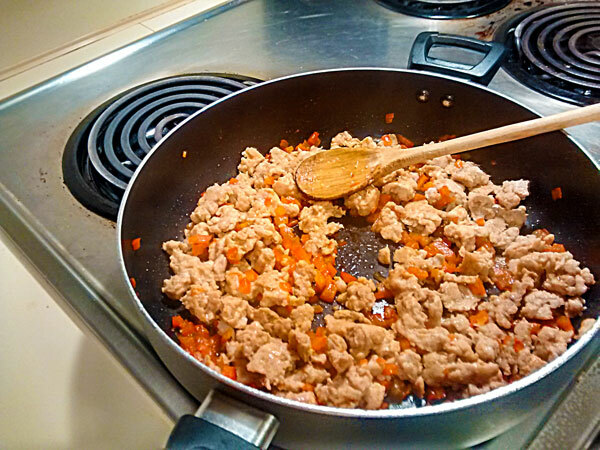 Meanwhile, cook the sausage and red bell pepper together. Remove to a large bowl. Scramble the eggs, and cook over medium heat. 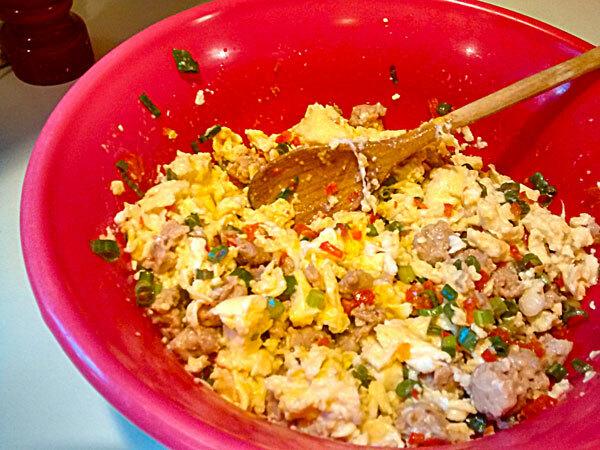 Remove eggs to the bowl with the sausage. 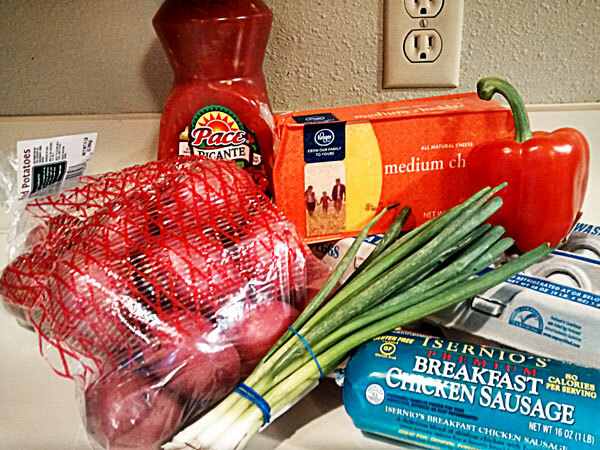 Add the diced green onions, and mix well. 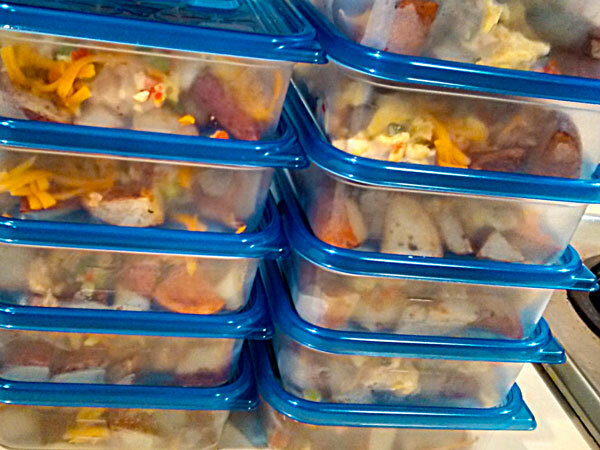 Add about 1 cup potatoes to 12 freezer containers. 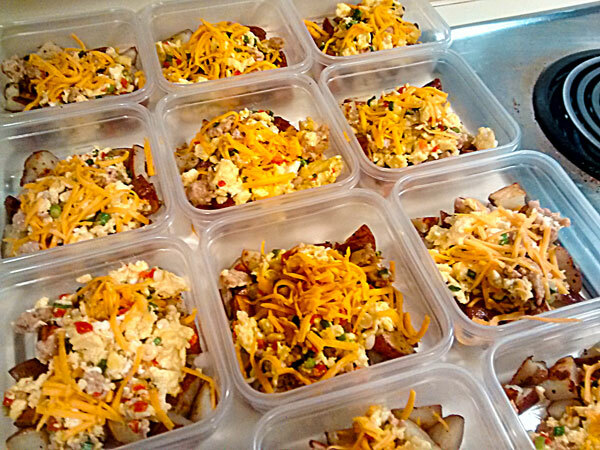 Top potatoes with about 3/4 cup of egg/sausage/veggie mixture. Sprinkle each one with a little cheddar cheese.